Etnies brings you Chris Joslin's first pro model shoe. Chris designed these shoes to withstand the abuse of skateboarding day in and day out. 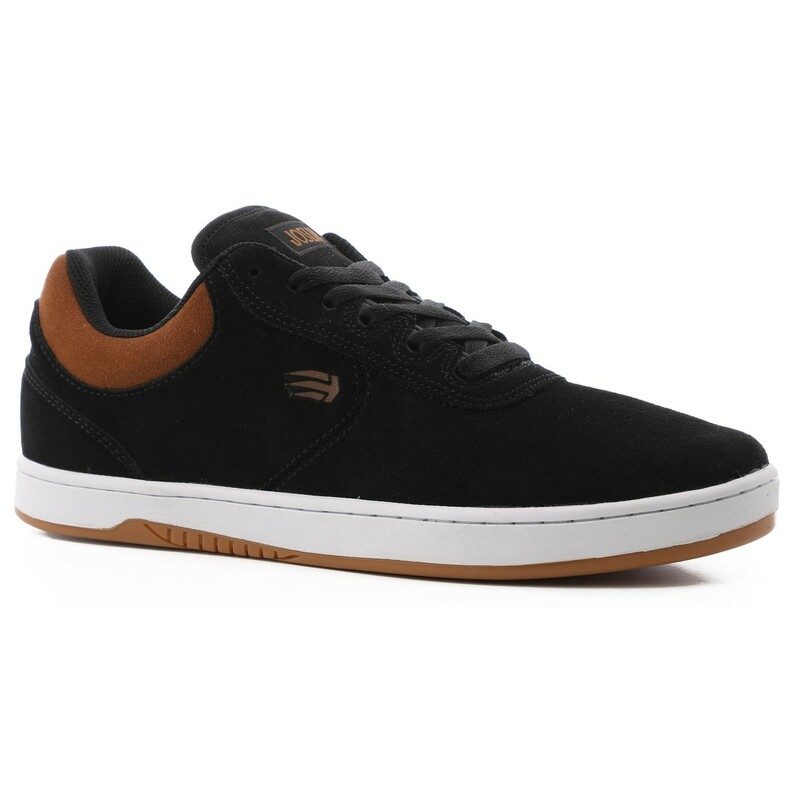 These shoes feature the Michelin outsoles which last three times longer than standard skate shoe soles. 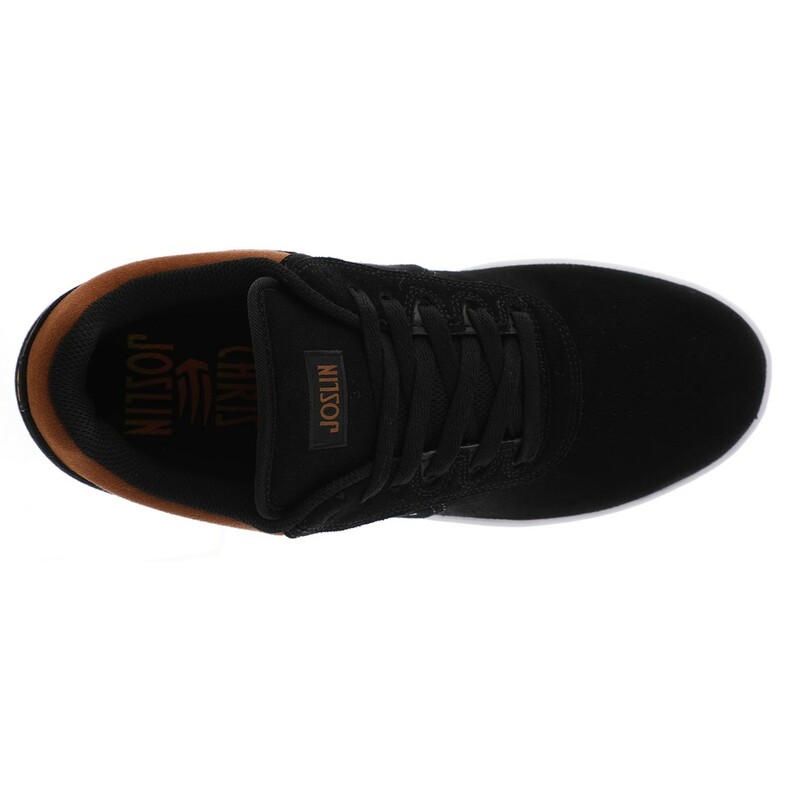 Underneath the durable single piece toe is a hidden toe cap that goes from the toe box, all the way past the ollie area, ensuring a long life of the shoe.